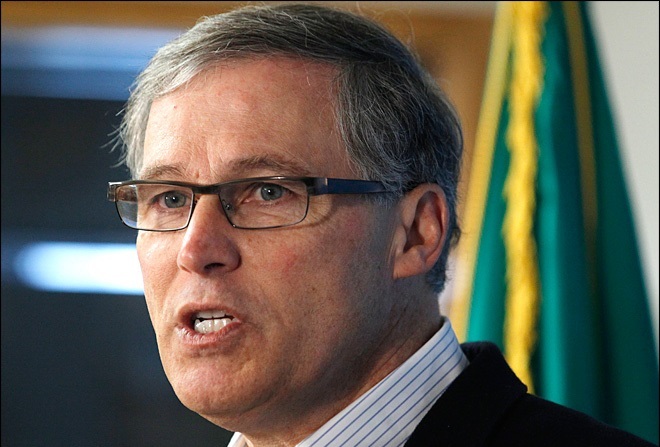 Washington Governor Jay Inslee announced today that he is seeking the Democratic Party nomination for president. He has s strong pro-abortion record including signing a bill to force people to fund abortions. SUPPORT LIFENEWS! To stop abortion advocates, please help LifeNews.com with a donation! Last year, Inslee signed a bill into law incentivizing more women to abort their unborn babies by requiring that health insurance plans cover abortion on demand. Inslee signed a bill to force health insurance plans to cover abortions if they also cover maternity care. The bill also would set up a program to pay for abortions for women without insurance and those on Medicaid, with state taxpayer funds. The bill had the support of abortion groups such as Planned Parenthood and NARAL. Inslee also refused to investigate the Planned Parenthood abortion business, which was caught selling the body parts of aborted babies. And last year, Inslee visited a Planned Parenthood on Monday to announce his support of the abortion chain and its taxpayer funding. Afterward, Inslee called a Trump administration effort to defund abortion groups of tax dollars “barbarous” and promised to fight it.